Another lawsuit challenging the application process to grow medical cannabis in Germany could throw the already-delayed domestic cultivation plans even further into a state of uncertainty. In an update to the public tender, the German Federal Institute for Drugs and Medical Devices (BfArM) disclosed a lawsuit filed in the Dusseldorf Higher Regional Court (OLG Dusseldorf). The current deadline to apply – already pushed from Oct. 22 to Nov. 5 – stands at Dec. 11. According to the BfArM notice, the case is expected to be decided around April 2019. On Thursday, the agency moved the date for final commitment from the companies looking to grow medical marijuana to April, so it is unclear when the winners of the application process will be awarded. Germany had intended to award the country’s first domestic licenses in the first quarter of next year. A court ruling in favor of the plaintiff could result in the entire program starting from scratch. “It does, to a great extent, put the current tender in limbo. The tender has already been delayed multiple times, including last week,” said Deepak Anand, vice president of Toronto consultancy Cannabis Compliance. The first application process started in 2017 and was delayed until March 2018, after a plaintiff successfully sued the government over the process. Up for grabs are 13 contracts, or ” lots,” and a single company can get up to five contracts. Each lot calls for 200 kilograms (440 pounds) to start. 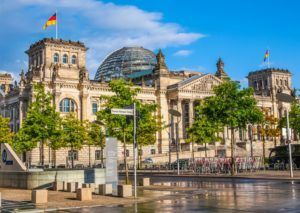 Another delay in handing out domestic cultivation licenses would give an advantage to international companies currently supplying the German medical cannabis market, as locally produced MMJ could be pushed to 2020 or beyond. Companies from Canada and the Netherlands are exporting a record amount of medical cannabis to Germany. Canadian multinationals that include Tilray, Cronos Group, Aurora Cannabis and Canopy Growth are establishing cultivation centers in places such as Denmark, Portugal and Israel – and much of that production could end up supplying the German market. Another large Canadian medical cannabis company, Ontario-based Aphria, announced last week its intention to buy Densborn, Germany-based CC Pharma for 24.5 million euros ($28 million) in cash on closing and another 23.5 million euros if certain performance milestones are met. Aphria aims to obtain its European Union Good Manufacturing Practices (GMP) – an essential European quality standard – joining Aurora, Wayland Group Corp. (formerly Maricann), Cronos, Tilray and Canopy Growth. Only EU GMP-certified companies can export medical cannabis products to Germany. Politics politics politics when will these politicians realize the amount of income into the gonernment coffers is, not will be astronomical.